If you find yourself in Turkey, or just enjoying the atmosphere in a Turkish restaurant, you're basically guaranteed to encounter a dip called cacik. Likewise, when you travel to Greece or to your favorite Greek restaurant, a similar dish called tzatziki will be presented. Whatever it's called wherever you happen to find yourself, you should definitely try it. Americans have become more familiar with the term tzatziki, and some of the large dip manufacturers have lines of tzatziki and other Greek yogurt sauces available for sale in supermarkets. But the homemade version is very easy to make and brings a refreshing flavor to so many dishes. In the Middle East, you will frequently find plain yogurt and cucumber mixtures on all the hotel breakfast buffets. It's cool and crisp and perfect for summer in a hot climate. 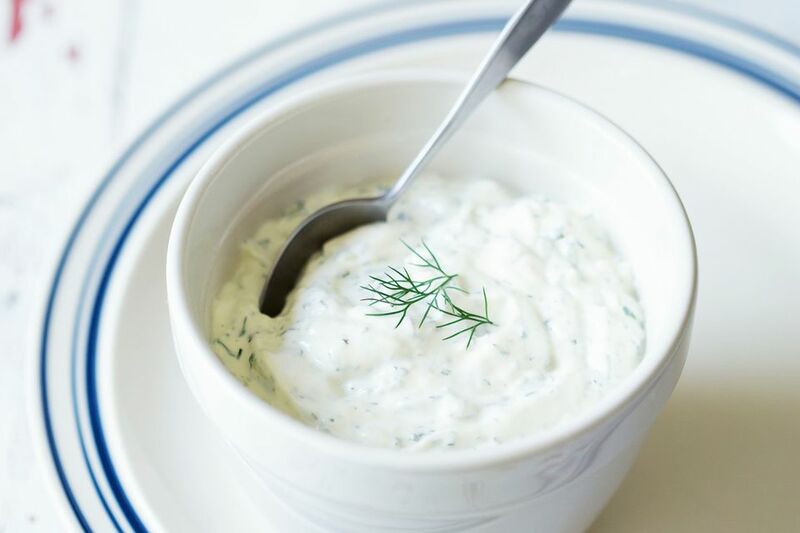 Proper tzatziki sauces, with grated cucumbers, garlic and lots of fresh dill, are served in restaurants as appetizers or alongside chicken dishes. Cacik can usually be found on the menus of Turkish/Mediterranean restaurants that specialize in small plates. Spanish restaurants call them tapas but the Turkish term is mezze which would describe an appetizer or small dish recipe. The concept allows you to sample lots of different things without necessarily having to commit to one dish and a plate of cacik / tzatziki will be right at the top of the menu. Wonderfully thick and creamy, likely strained, and perfect for dipping hunks of pita or flatbread into, this sauce is a treat. In a mixing bowl, combine the grated cucumbers and minced garlic. Add salt to taste. Mix in the yogurt with a wooden spoon, and transfer to a serving bowl. Garnish with the mint or dill, and drizzle olive oil on top. Serve immediately or cover with plastic wrap and refrigerate. Try Your Hummus Warmed Turkish-Style -- You May Never Go Back!